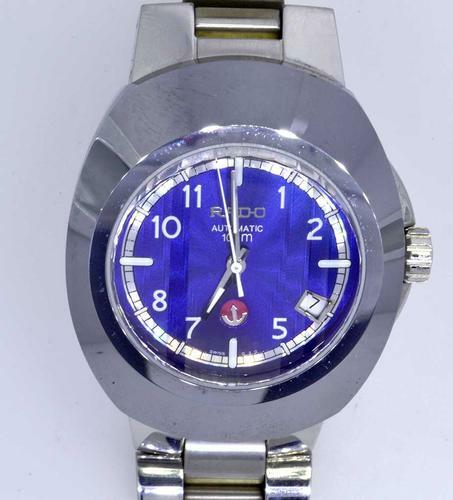 Gorgeous Automatic Mens Rado, DiaStar Estate Direct. Original Box and Card. 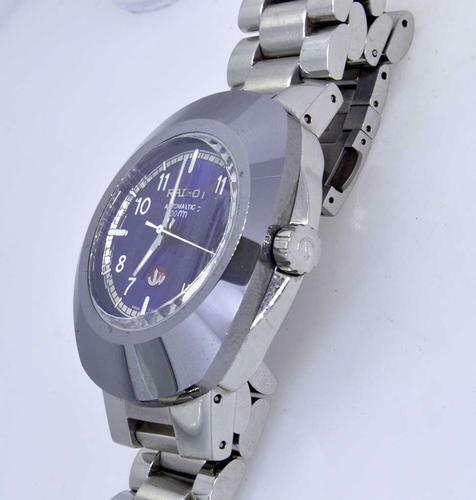 The watch is well cared for, You wont fine scratches on the case or crystal. 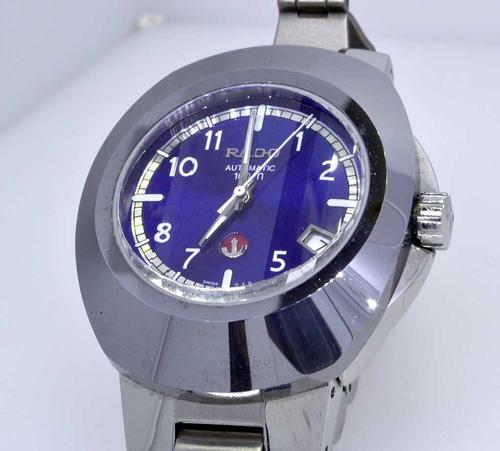 Very cool beveled crystal is a sure sign of a quality Swiss timepiece. The original box ahas a leather insert that is falling apart but the watch shows no such treatment. 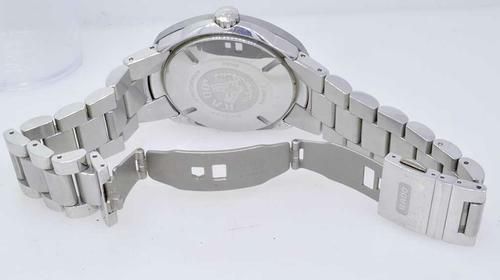 Solid Steel bracelet with push button clasp fits a 6.75 inch wrist.